Celebrating 50 years in rock (1966-2016) Gene Simmons, multi-hyphenate entrepreneur, co-founder and front man of Kiss, America’s number one gold record award-winning group of all time in all categories (RIAA), and one of the most recognized performers in the world, has announced the unprecedented release of Gene Simmons: The Vault Experience in partnership with Rhino Entertainment. Gene Simmons: The Vault Experience commemorates and celebrates Simmons’ notorious five-decade journey as a rock icon, offering fans around the world a limited-edition collectible ‘VAULT’ with contents that offer a unique look into The Demon’s colorful life, including never-before-released songs, photos, stories and collectible items. Additionally, every Vault will be personally delivered to each fan by Simmons himself. 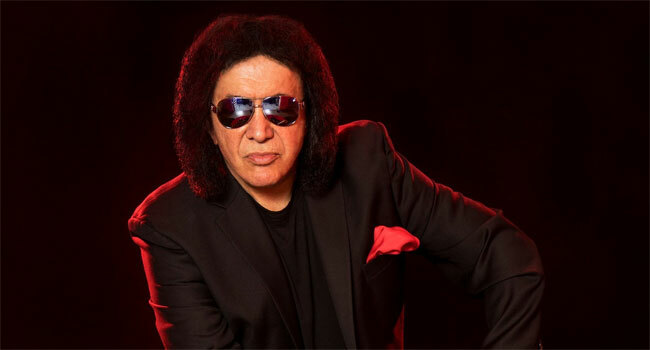 Gene Simmons: The Vault Experience begins with a personal delivery, by Simmons himself, of a numbered, limited-edition, 17″ x 25″ 38-pound VAULT, during Simmons’ Vault World Tour set to take place January 2018 through December 2018. During the one-on-one meet and greets with the delivery of the Vaults, Simmons will travel around the world, to a designated location to take photos and video with the fan and a guest, and sign autographs. In addition to the private meeting, fans will receive a Vault Pre-Pack* and join a small group of other fans for “Songs and Stories” from TheVault and a Q&A with Simmons. Within a month of purchase, fans will also receive via mail aVault Pre-Pack featuring a USB including the first track “Are You Ready,” a signed golden ticket, exclusive t-shirt, and a laminate. Ordering by December 5 will ensure delivery of theVault Pre-Pack by December 23rd, just in time for holiday gift giving. Launching December 2017 in the U.S. and in cities around the world, the Home Experience includes a personal delivery of The Vault to the fan’s home by Simmons himself; one of the first 300 limited-edition numberedVaults; two hours with Simmons at the fan’s home (or location of their choice) for a special event with up to 25 friends and family; photos, videos and autographs; an intimate “Songs & Stories” playback session and Q&A with Simmons; and aVault Pre-Pack* for all guests in attendance.